Development news from Footscray continues to flow at an increasing level. Maribyrnong Council is providing the wider public with a first look at a new mixed use development in the heart of Footscray. K7 Developments has enlisted Rothelowman to create a scheme for 72-76 Paisley Street, with the expectation that it will eventually accommodate a substantial and predominantly residential building. One block back from Barkly Street, 72-76 Paisley Street is a 1,840sqm site wedged between a multi level community healthcare centre and the Footscray Baptist Church. Not-for-profit community health organisation cohealth have occupied the modest brick building onsite for some time. The proposed development's treatment of the eastern and northern ground level interface is a direct response to the site's immediate surrounds. An existing through link will be enhanced and activated in order to join with the laneway network bisecting the block between Barkley Street and Paisley Street. To the rear of the site an urban street art installation is envisaged. According to Rothelowman, "The concept for the artwork is to use an abstract form in either linear / checked patterns, with principal colors of blue and gold which are bright and complimentary to the proposed building material pallet. 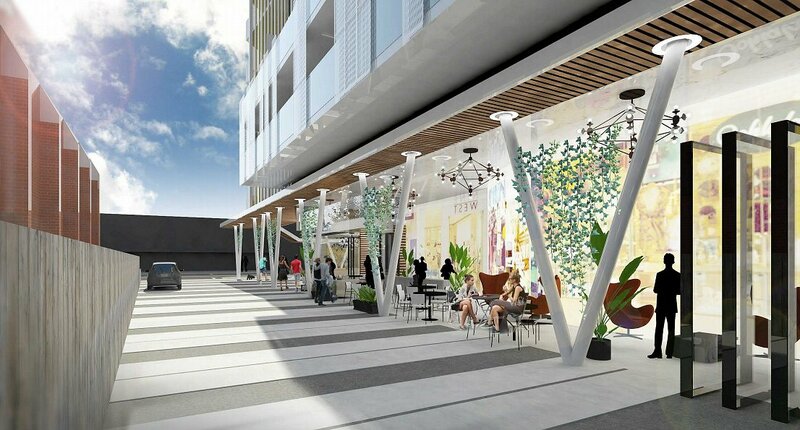 The artwork will be placed on the dedicated metal panels on the northern elevation with anti-graffiti coating." 72-76 Paisley Street's eastern flank is to feature the restaurant space and outdoor seating area to the Baptist Church interface. 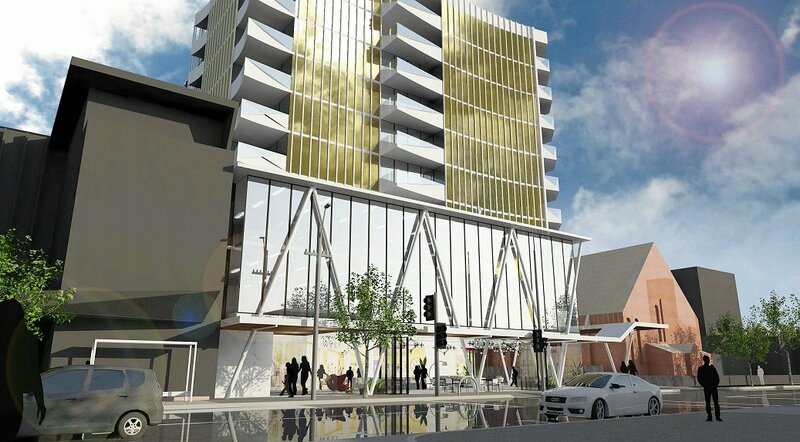 The Footscray application is K7 Developments' third active apartment project. Following on from builder Citi-Con's recent completion of Canterbury Hill which includes 37 dwellings, two further projects are nearing a construction start. Hawthorn East's Brasshouse is defined by its undulating gold facade whilst Brunswick East's Seamstress references the past life of the site in question, which will in due course become a building of some 32 apartments. Including the Paisley Street application, Rothelowman has become the incumbent architecture practice of choice for K7 Developments, accounting for the developers last four projects. 72-76 Paisley Street is comfortably the developer's biggest project to date.